Product prices and availability are accurate as of 2019-04-21 20:24:36 UTC and are subject to change. Any price and availability information displayed on http://www.amazon.com/ at the time of purchase will apply to the purchase of this product. This NK Technologies ATR series current transducer combines a solid-core current transformer and signal conditioner, and is suitable for use in industrial automation systems. The transducer provides true root-mean-square (RMS) measurement for sinusoidal alternating current waveforms, with an accuracy of 1.0% full scale (FS) and a response time of 600 ms (10-90% step change). 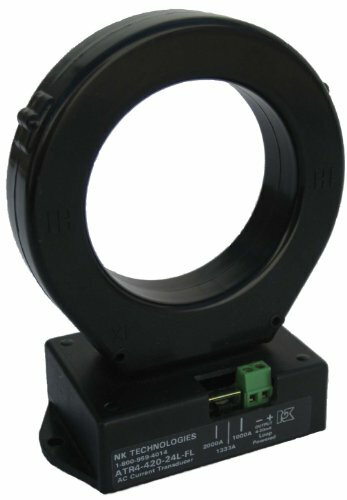 A large aperture accommodates large diameter conductors or cables and user-selectable input current ranges reduce inventory needed. This current transducer is Underwriters Laboratories (UL) listed and Conformité Européenne (CE) certified for quality assurance. 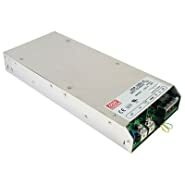 It is suitable for monitoring variable-frequency drive (VFD) and silicone control rectifier (SCR) alternating current (AC) loads and other “noisy” loads that produce distorted waveforms. 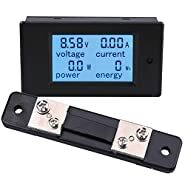 Current transducers are used to detect electrical current flowing in a wire or cable, and to generate an electrical signal proportional to the current for measurement or control. The transducer consists of an electrical winding, a magnetic core, and a signal conditioner. When current flows through a wire, the transducer winding generates a current, which produces a magnetic field in the core, which then creates a proportional current or voltage output signal. Current transducers are used in industrial automation systems for monitoring, alarming, and equipment control. NK Technologies manufactures electrical sensors. The company, founded in 1982 and headquartered in San Jose, CA, meets International Organization for Standardization (ISO) standards 9001 and 14001.